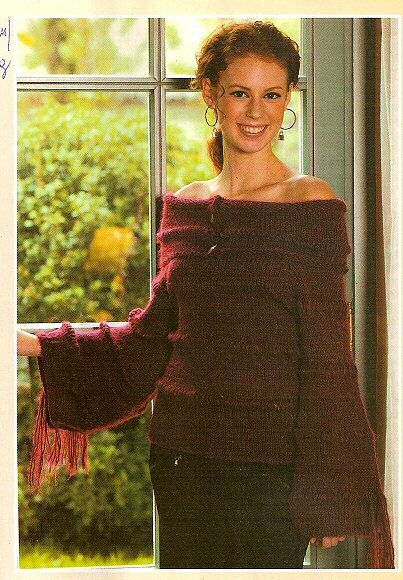 I love the green one and the chocolate brown one, white one is interesting, and the red one - I had in mind a design similar to this one, so I probably try to alter the pattern and base my desired jumper on it. And do you remember my question about the three lace pieces I knitted? I'm blocking them now and I want to transform them into something. Thank you, Lobstah and Desi for your suggestions. Any more ideas?